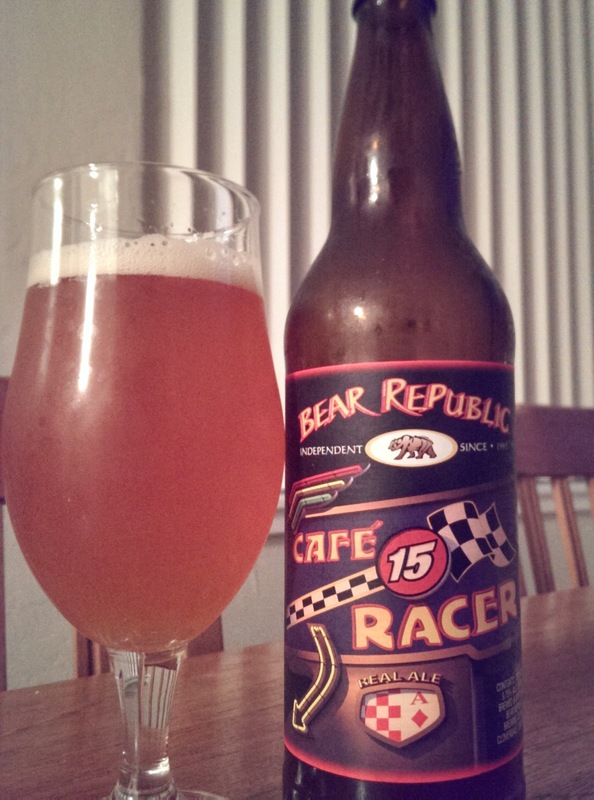 Does Bear Republic have a new facility in Cloverdale? Probably not -- I've had the blinders on for a while, and didn't realize they're a lot bigger than I thought. Whatever, this is a badass DIPA. It's big and juicy, and loaded with fruity hop action. But there's still a deep bitterness to it, and although the malt base is on the heavy side, it's still very pleasant and not overdone. Not much else to say here: it's a great all-around double IPA that's very nearly in the this-is-damn-near-a-triple-IPA-if-you-ask-me classification. And just what the hell is a café racer?